Italian players Andrea Pirlo, Sebastian Giovinco and Mario Balotelli have been left off the preliminary list announced for Euro 2016 for Italy. Toronto FC forward Giovinco is one of a number of noteworthy players left off the continental tournament. The 29-year old, who has 30 goals in 45 games for TFC, was surprisingly not included in manager Antonio Conte’s 30-man squad, despite his decent performance at his club. 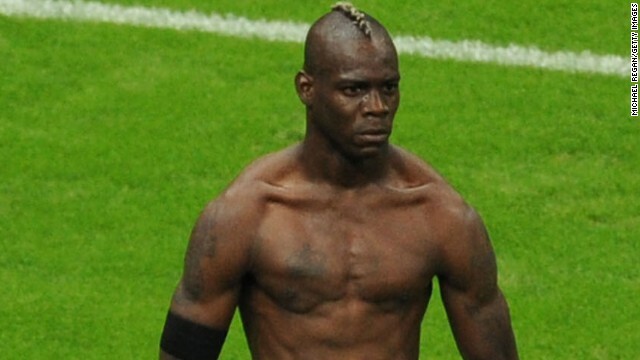 Aside Giovinco is Balotelli, whose goals during the 2012 tournament sent Italy into the European championship final before they lost 4-0 in the final to Spain. Louis van Gaal admitted that Manchester United are relying heavily upon Arsenal to help them finish in the top four. The Red Devils managed to move within a point of Manchester City after a 1-0 win over Norwich City. Juan Mata scored the only goal of the game to help United closer to the top four places. Manchester City do have a game in hand, but it is probably one of their toughest matches remaining in the season. A visit to face Arsenal at the Emirates stadium awaits City and this match could potentially see United close the gap. Manchester United are starting a rejuvenation process as Louis van Gaal is beginning to add more young players to his squad and the latest one to be signed by the Dutch coach is a 16 year old performer who was also being targeted by Arsenal and Chelsea but it was Manchester United the club that managed to secure his services. Nishan Burkart will be making a move to Manchester United at the end of the season; Burkart is currently performing for FC Zurich but it was confirmed by his father that a deal has already taken place which is going to see the youngster making a move to Old Trafford in the summer transfer window. “We have decided to leave the club in the summer. Nishan switches to Manchester United. Jurgen Klopp branded the 2-1 win over Bournemouth as perfect. The victory helped Liverpool move past Stoke City into the eighth spot. They are now only behind Southampton on goal difference. Given the form of teams like West Ham and Southampton in recent weeks, there is a real possibility of Liverpool finishing in the top six places. This would be seen as a reasonable return from manager Jurgen Klopp, who came to the club midway through the campaign. Further, their successes in the Europa League only bodes well for the German. Continue ReadingJurgen Klopp branded the 2-1 win over Bournemouth as perfect.